In the spring of 2011 my world was rocked in many ways. It was time to take stock in the life I had been abusing for so long. The months following the fleeing tornado saw a lot of change — I became addicted to it. So in September 2011 left my full-time job in advertising and ran to the desert not really sure what I wanted to do. 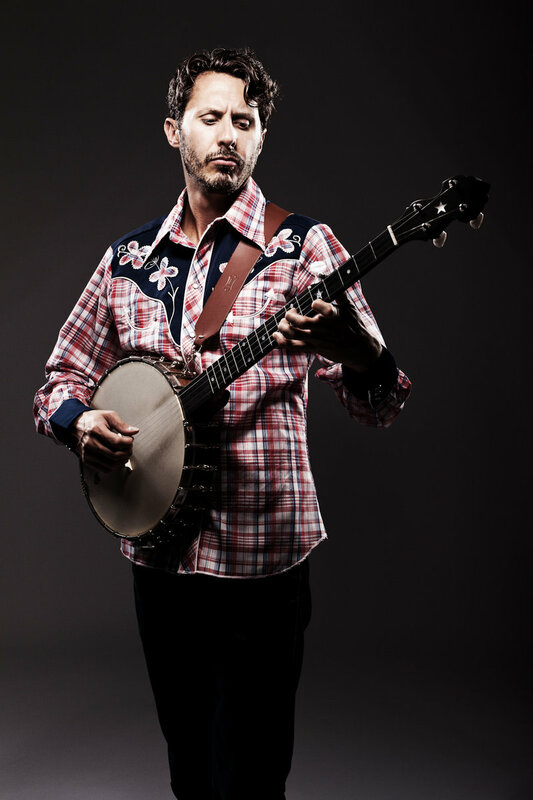 I holed up in a small motel called The Pioneertown Inn with my instruments and endless amounts of corned beef hash. There I had long, inspiring conversations with the desert's silence. And it was there It in that small shack that I wrote a large portion of these songs. 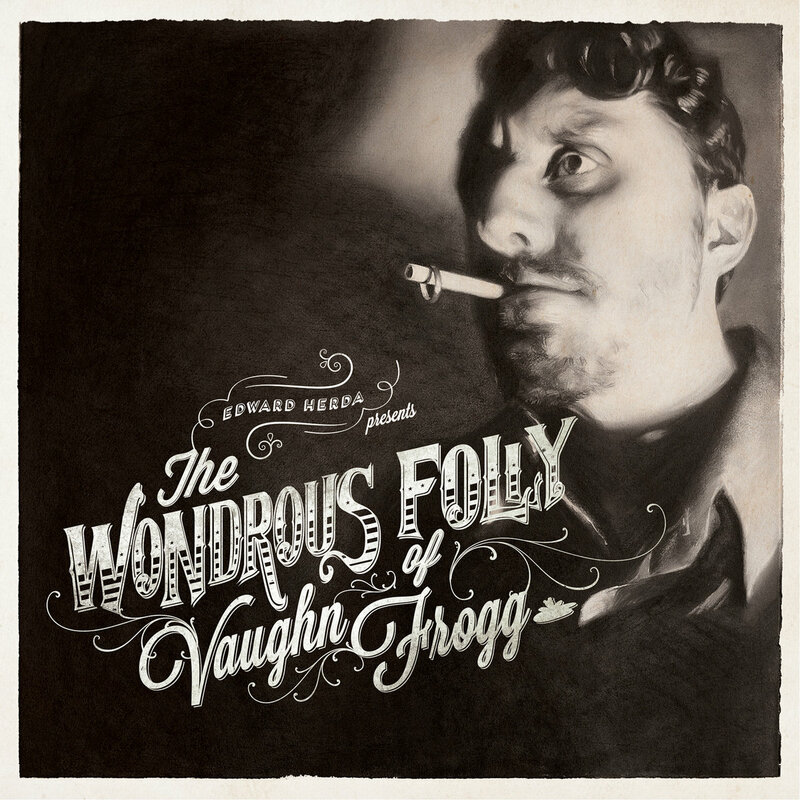 The Wondrous Folly of Vaughn Frogg is a linear story. And it's a story within a story. And finally a story within a story within a story. Special thanks to my beautiful tornado, BT. Without her I would probably be dead. How the hell have you been? It’s been a long while since you and I panned for prospects in the park after dark, sipped’ on wine hoping the F just might stop, chasin’ the night praying she won’t close. Oh Brooklyn I’m coming home. Oh Brooklyn, take me away. I’d ditch my view for them old red stoops where I strummed my songs with you — flip my whip for that broken iron horse. Oh Brooklyn you’ve boroughd into my heart. Why the hell did we end? We had some good times, you and I: Skipping down 6th to grab a slice and a pound a brew, puttin' our faith on old Bill and our crew, stealing kisses in your hot summer rain. Oh Brooklyn, I’m coming home today. Brooklyn, oh Brooklyn I’m coming home to stay. Is this salvation or a sin? How did god give me this right? My fate is angry if I disobey these, but angry if I slaughter this child, the beauty of my house, with maiden blood shed staining these father's hands beside the altar. What of these things goes now without disaster? How shall I fail my ships and lose my faith of battle? For them to urge such sacrifice of innocent blood angrily, for their wrath is great--it is right. May all be well yet. But when necessity's yoke was put upon him he changed, and from the heart the breath came bitter and sacrilegious, utterly infidel, to warp a will now to be stopped at nothing. The sickening in men's minds, the sickening in men's minds, the sickening in men's minds, tough, reckless in fresh cruelty brings daring. He endured then to sacrifice his daughter to stay the strength of war waged for a woman, first offering for the ships' sake.